Only 3 AMG® E 53 Sedan models left in stock! The seamless power and natural balance of an inline-6 return with another Mercedes-AMG® tradition: a technological leap forward. The lightweight, fully beltless engine is also electrified: An Integrated Starter-Generator can supply up to 21 hp at certain rpm, allow fuel-free coasting and recapture energy during deceleration. With a twin-scroll turbo and electric auxiliary compressor, the gas engine outputs 429 hp and 384 lb-ft of torque on its own, for quick, efficient response. Electrifying the new inline-6 gasoline engine is an innovative Integrated Starter-Generator. It teams with a 48-volt lithium-ion battery and power supply for formerly belt-driven components like the water pump and air-conditioning compressor, reducing weight and enhancing underhood packaging. In addition to boosting power and torque for immediate response, EQ Boost offers a substantial reduction in fuel consumption. The cylinder walls of the diecast aluminum block are created in an AMG®-patented process that benefits performance, efficiency and durability. NANOSLIDE(R) technology uses a twin-wire arc spray to coat the bores with an ultrahard layer that's honed to an ultralow-friction, mirror-like finish. Without the added weight of cylinder liners, the bores and lightweight forged pistons are matched with even greater dimensional precision, for more immediate and consistent power over a longer service life. 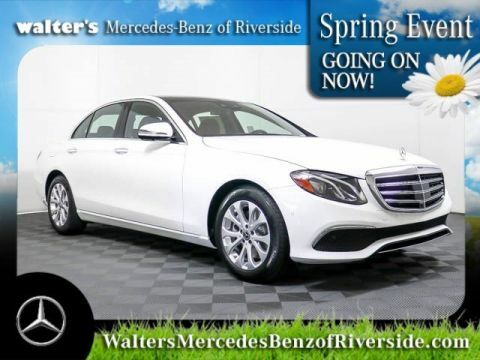 Now in its 10th generation, the E-Class Sedan is roomy inside and sleek outside. 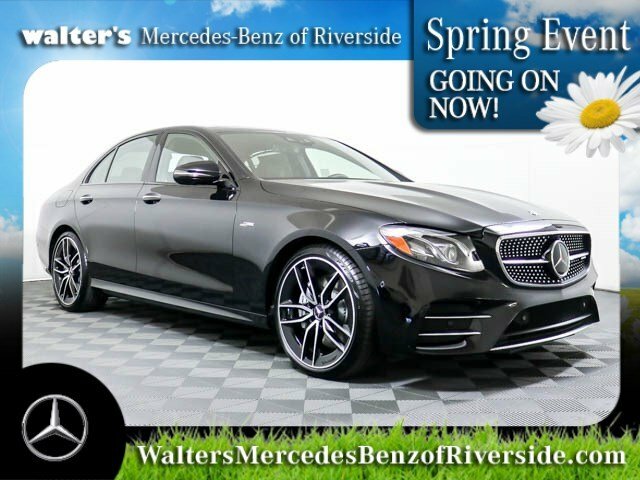 With 2.6 inches more wheelbase than the previous model and classic proportions, the E-Class delivers sculpted elegance with a sporty stance. A choice of grille designs is flanked by expressive LED headlamps that flow seamlessly into the side profile. It all culminates in muscular rear shoulders and glistening LED tail lamps. The three-dimensional flow of the E-Class cockpit is more than a visual achievement. Every aspect of the cabin experience is equally fluid, from the natural feel of the controls to the clarity with which information and entertainment reach the driver and passengers. A single floating panel houses the instruments and COMAND®(R) display, while aluminum-ringed air vents and control elements punctuate the wave-formed dash trim. It's a haven of luxury and fine craftsmanship. From its headlamps to its distinctive taillamps, a network of long-lasting and energy-efficient LEDs accomplish every exterior lighting function with distinctive style. The taillamps feature distinctive Stardust reflector technology that lets their LEDs illuminate the lenses with a scintillating effect. LEDs also offer quicker illumination, offering other drivers more time to react to your brake lamps and other signals. Radar-based technology can alert you if you're approaching a vehicle ahead, or even some stationary objects, at a speed and distance that suggest a collision is likely. As soon as you start to brake, it can automatically provide an appropriate level of braking to help prevent a collision or reduce its severity. If you fail to respond, it can also initiate braking automatically at a range of driving speeds. The system can also detect and react to crossing pedestrians at typical city speeds. The first system of its kind, ATTENTION ASSIST®(R) continuously monitors up to 70 parameters of driving behavior and can automatically alert the driver with both visual and audible warnings if it detects signs of drowsiness on long trips. With enhanced sensitivity, the system can also help detect drivers who begin their trip drowsy and offer more useful information to drivers along their journey via a dashboard display. 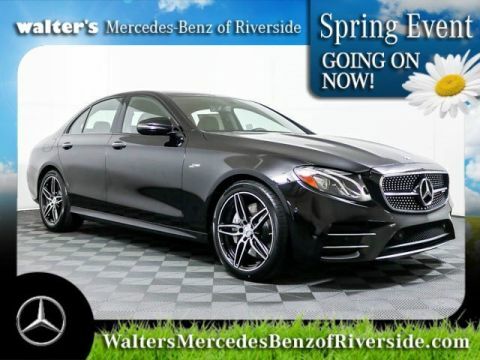 Let the 2019 Mercedes-Benz AMG® E 53 4MATIC® impress you in person today at Walter's Mercedes-Benz of Riverside located at 3213 Adams St. Riverside, CA 92504.